This tapping machine will perform 1/2"-1" hot taps. 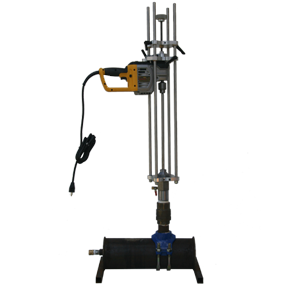 This machine uses solid drill bits for performing the hot tap under pressure for branch connections of up to 175 psi @ 250 D. F maximum. More Information . . . This tapping machine will perform 1/2"-2" hot taps. This package can be upgraded at any time to perform up to 6" hot taps. WT machine is rated for: 300 psi @ 100 deg F 250 Deg F @ 200 psi available high temp packing to 495 deg @ 200 psi. This tapping machine will perform 1/2"-4" hot taps. WT machine is rated for: 300 psi @ 100 deg F 250 Deg F @ 200 psi available high temp packing to 495 deg @ 200 psi. 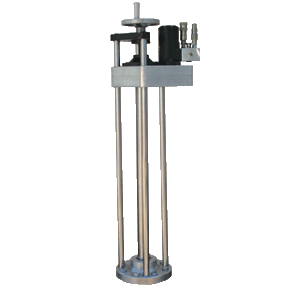 This tapping machine will perform 1/2"-4, and is equipped with a very strong Air motor. 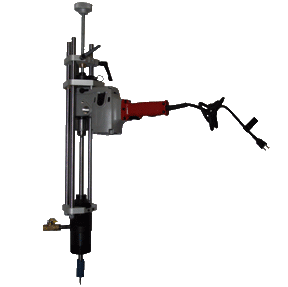 This machine is designed for the NO SPARK applications on gas hot taps. This package can be upgraded at any time to perform up to 4"
Design eliminates any twisting or flexing under extreme hot taps. Allows the user to install the drive motor 4 different directions depending on the space or location of the hot tap! Different length Quad rails give the machine the ability to perform hot taps in tight locations. 12in-24in Quad Rail Tapping Machine This machine performs 12"-24" under pressure taps Use Hydraulic or Electric drives on the same machine depending on what you need. These items are Installed on this line of Power Units. 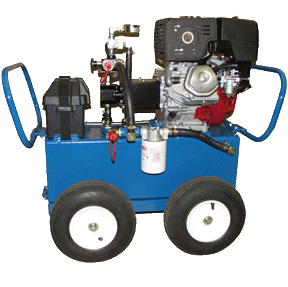 This hydraulic power pack is the perfect unit for our line of smaller 3"-12" hydraulic tapping machines Add a wheel package and make it a portable unit! 24 H.P Honda heavy duty series 15 GPM @ 2000 psi. 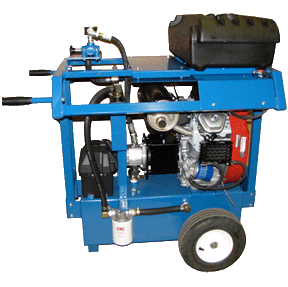 This model power pack is used for our medium sized hot tapping machines 4"-16". 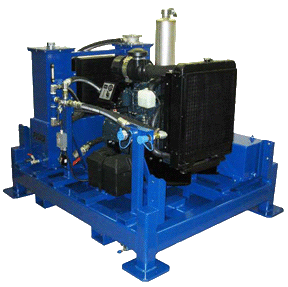 Many different GPM and Pressure ratings available, please call and we can customize any power pack to fit your needs. 8 GPM @ 2000 psi. 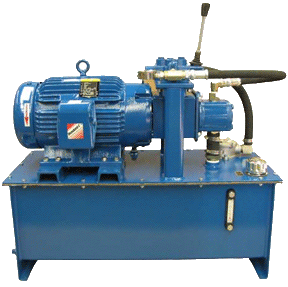 This hydraulic power pack is perfect for indoor hot tapping or other applications. 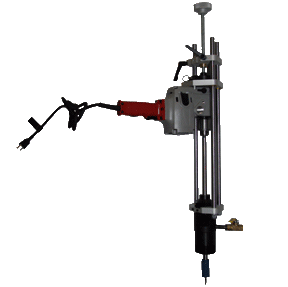 Pair this up with our 3"-12" hydraulic tapping machine and tap anywhere indoors! 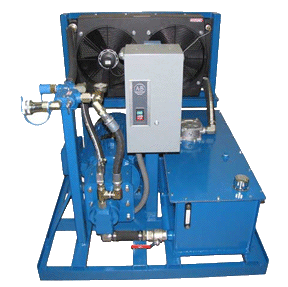 28 GPM @ 2000 PSI This unit is designed for our larger custom line of tapping machines for indooe use. 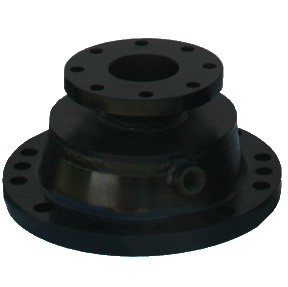 Can be made with a skid type of mounting paltform or a custom cage for crane lifting. Please call for a custom quote and design spec. 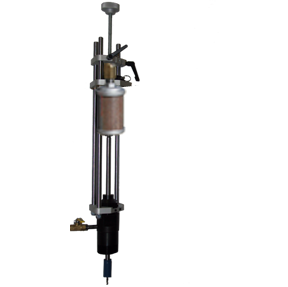 These saddles/sleeves are specifically designed for use on copper mains. 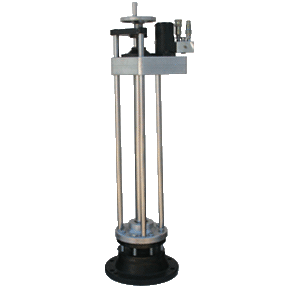 Our saddles can be used on domestic water, heating hot water, Air, natural gas, glycol and sewage mains. All saddle have a stainless steel IP male thread for easy installation of you full port ball valve. Please call with any questions and we will gladly help you pick the correct saddle for your application. 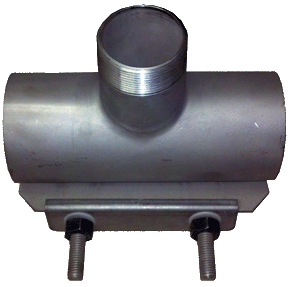 These saddles/sleeves are designed specifically for steel and pvc mains They can be used on domestic water, heating hot water, Air, natural gas, glycol and sewage mains. All saddles have a stainless steel IP male thread for easy installation of you full port ball valve. Please specify main size and outlet size when ordering. 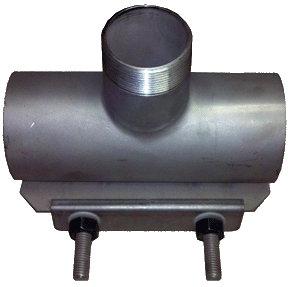 1/2" & 3/4" thermowell fittings are designed to be welded onto steel mains. 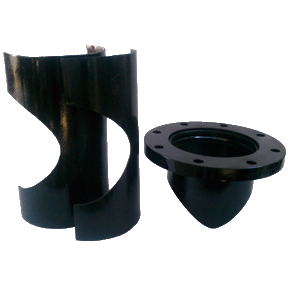 This fitting allows a well to be installed into a live main under pressure. 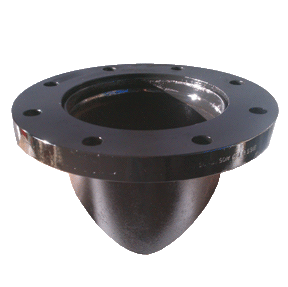 The fitting is welded in place you can install a ball valve or gate vale on the outside of the fitting. 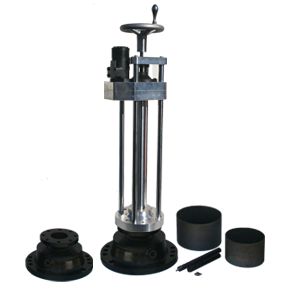 Once the hot tap is performed you close the temporary ball valve or gate valve and remove the WT-3/4-2" Tapping machine. Full Wrap hot tap fittings are designed to be welded onto CMLC pipelines for structural support on the thin walled steel pipe. 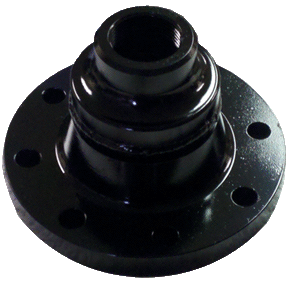 we start off with our standard ANSI 150 lb flanged hot tap fitting and design a wrapper to be installed and welded to give support during and after the hot tap. Contoured Hottap We build contoured Weld fittings designed for ANSI 150 lb and ANSI 300 lb.flanged connections. We offer Custom weld fittings for hot taps All of our weld nozzle fittings are designed and hand made to ensure proper installation with most fittings built off of ANSI 150 or ANSI 300 lb carbon steel flanges or stainless steel. 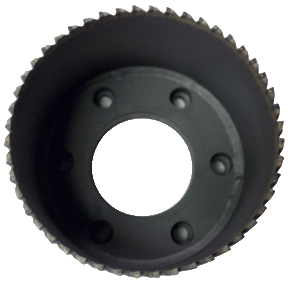 High speed holesaws with a standard backing plate In addition We also Offer custom heavy duty carbide,diamond and tool steel holesaw cutters for most sizes 2 1/2"-60" and larger if needed. 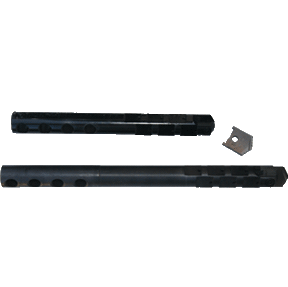 Carbide holesaws with a standard backing plate In addition We also Offer custom heavy duty carbide,diamond and tool steel holesaw cutters for most sizes 2 1/2"-60" and larger if needed. 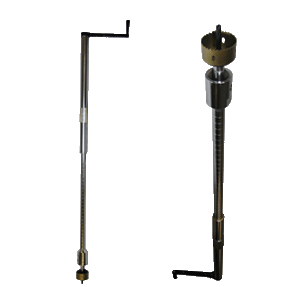 Carbide tipped Holesaws designed for use with our Line of Hot tapping machines Water works Tools line of double toothed hot tapping cutters can be made in any sizes and depths for line stopping to hot tapping. all of our cutters featured a brazed in carbide segments for long life and exceptional performance. 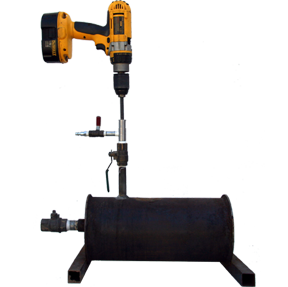 All of our holesaws can be returned for repair and installation of new carbide cutting segments. 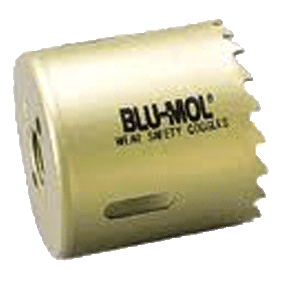 Double Stack Holesaws come in either carbide tipped or high speed steel. 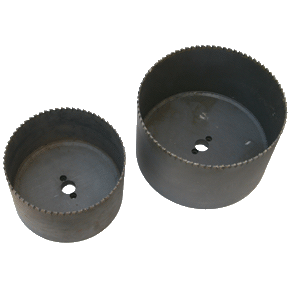 These custom made holesaws have about 3.25" cutting depth with a heavy duty 3/16" thick steel backing plate. Please specify high speed steel or carbide tipped when ordering. if you do not see a size you need please call as we have the ability to build almost any size! Other options available are triple stack and custom depths. 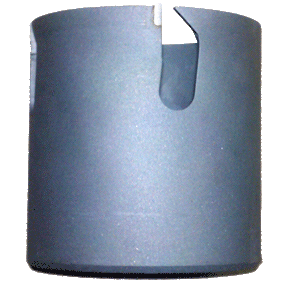 PVC carbide tipped cutters These cutters are specifically designed for cutting through Plastic or PVC pipe. Extra deep reliefs assure the chips are pushed out and do not bind up the cutter. Many different backing plate designs available for all types of tapping machines. Please call to get your custom quote today. 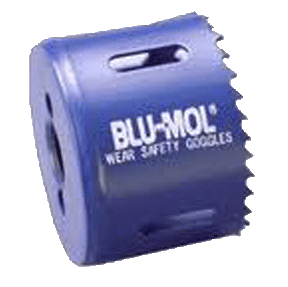 3/4"-24" PVC Plastic Deep Carbide Tipped Cutters These cutters are specifically designed for cutting through Plastic or PVC pipe. Extra deep reliefs assure the chips het pushe out and do not bind up the cutter. Tool Steel Hole Saw Cutters Product images and information coming soon. 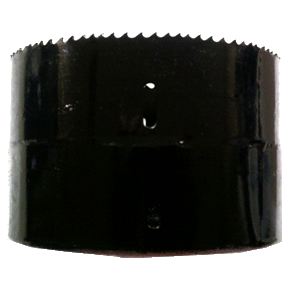 These Cutsom Carbide tipped Holesaws can be customized to fin your type of hot tapping machines. Water Works Tools can take your blue prints and manufracture a double toothed hot tapping cutter made in any sizes and depths for line stopping to hot tapping. All of our cutters featured a brazed in carbide segments for long life and exceptional performance. Our 1/2"-6" pilot drill bits are designed to catch the coupon or slug you have cut out of the pipe. Our pilot drill bits have dual holes in the flutes so you can run 2 sets of retention wire to ensure 100% positive retention of the coupon. 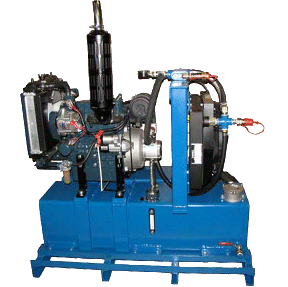 Pilot Drills are specifically made for our line of larger hot tapping machines. 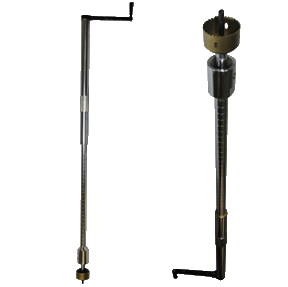 3"-24".The pilot drills are designed with the retention wires or keepers to catch the coupon. we designed the pilot drill with optional holes in the main body do so you can set the depth of the pilot in the cutter depending on the size of hot tap. If you need custom sizes for your machine please call and we'll be glad to help! 4" & 6" 150 lb. 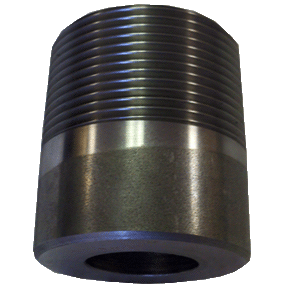 threaded flanged adaptors designed to be used with our WT-3/4"-6" line of tapping machines. 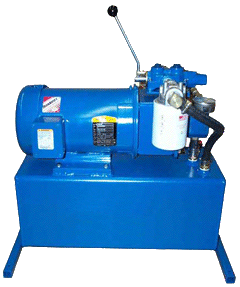 High pressure machines 150 lb. 300 lb. 600 lb. 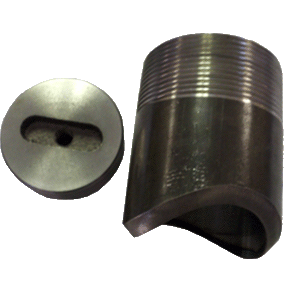 These adaptors are designed for use with our Severe duty Tapping machines 1/2"-6" line of machines. Gear driven for the ultimate in performance and reliability! 300 psi@ 100 deg F.
200 psi @ 250 deg F.
the machine from binding up under pressure and performs a flawless tap. 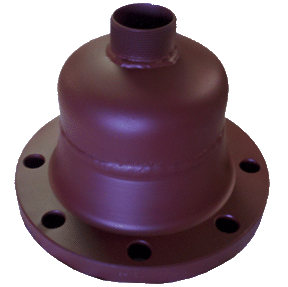 All adaptors are ANSI 150 lb rated and drilled for use on standared flange or MJ valves. All of our machines are made in the USA! Our pilot drill bits will catch your coupon. 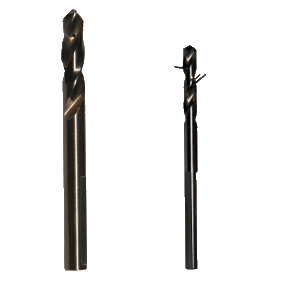 All you have to do is order our drill bits and we will provide the support on all your pilot drill bit accessories. Tapping saddles delivered to your jobsite so you can perform critical hot taps or linestops. 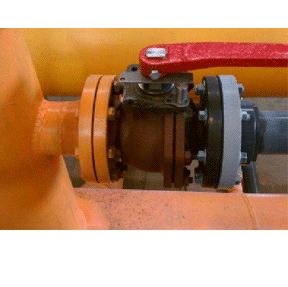 We offer hot tap saddles for copper, steel, pvc, ductile iron, cmlc and many other pipelines. Call today or email and we can help guide you through the process of picking the correct hot tap or line stop saddle to meet your needs the first time!